Ogilvy, James A.. "War of the Spanish Succession". The Canadian Encyclopedia, 16 November 2017, Historica Canada. https://www.thecanadianencyclopedia.ca/en/article/war-of-the-spanish-succession. Accessed 18 April 2019. The War of the Spanish Succession, 1701–1714 (also known as Queen Anne's War), was a general European war that spread around the globe to include the colonies of the major powers — including French and English colonies in North America. The war was caused by conflicting claims to the Spanish throne after the death of the childless King Charles II. The accession to the Spanish throne of Philip V, grandson of King Louis XIV of France, antagonized England and Holland, which were in growing competition with France. It also upset the Holy Roman Emperor Leopold I, who had claimed the succession on behalf of his son. War in Europe broke out in 1702, with Holland, England and most of the German states aligned against France, Spain, Bavaria, Portugal and Savoy. 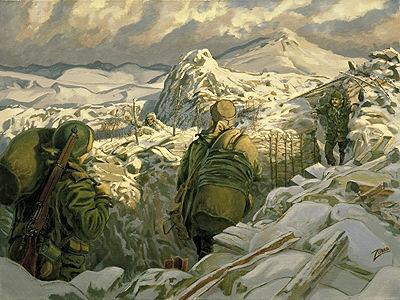 The conflict spilled over into the North American colonies of France and England, as forces in Acadia and New England exchanged bloody local raids. French forces destroyed the English settlement at Bonavista, Newfoundland, in 1704 and captured St. John's in 1708. 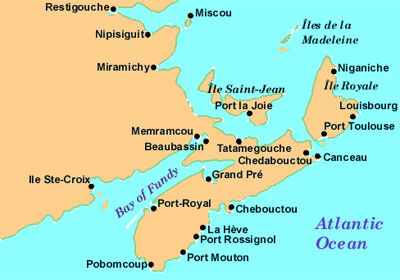 The English gained control of Port-Royal and with it Acadia in 1710. However, the following year a British fleet was wrecked in the St. Lawrence River in an abortive attempt to sail on Québec. The Treaty of Utrecht, in 1713, was one of a series of treaties that brought an end to the war. 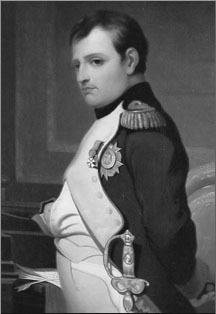 The treaty settled a number of succession disputes between England and France, and granted considerable territory to England. 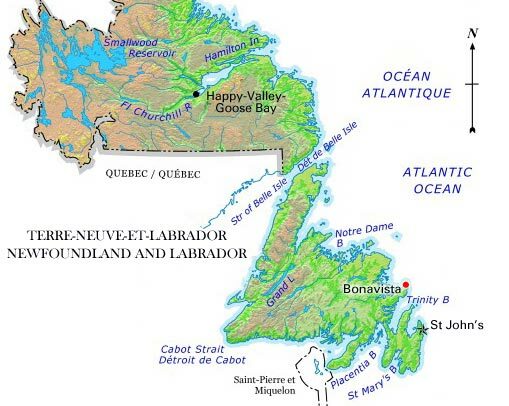 France retained Ile St-Jean (later known as Prince Edward Island) and Ile Royale (later, Cape Breton), but ceded Acadia and Newfoundland to the English and restored to them the vast territories whose rivers drain into Hudson Bay (see also: Rupert's Land). The Treaty of Utrecht is acknowledged as the end of French expansion, and the beginning in the rise of the British Empire.